Posted on October 26, 2009 by Debito Arudou Ph.D.
Hi Blog. Sakanaka Hidenori, head of the Japan Immigration Policy Institute and author of Nyuukan Senki (his experiences within Japan’s Immigration Bureau), has just had his most recent paper translated into English. Debito.org is proud to feature this paper downloadable in full here, with an excerpt immediately below. 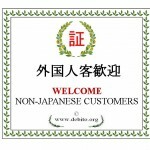 Sakanaka-san has written for Debito.org before, and his 2007 work, “A New Framework for Japan’s Immigration Policies” can be found here. He has taken great efforts to encourage immigration policy within Japan (his prognosis on “Big Japan vs. Small Japan” is worth considering). As the population crisis deepens Japanese youth, perhaps due to increasing uncertainty about the future, are in a state of malaise. I hear that the number of Japanese who choose to study overseas has fallen. Indeed it certainly seems as though the number of young people with an interest in the world has dropped, while the number of those who choose to shut themselves up within Japan’s borders has risen. I wonder if in the age of population decline Japan is becoming an insular country. What can be done to tackle the population crisis and offer hope for a bright future? I believe the answer to that question is to open the doors to immigrants, and entrust our younger generations with the dream of a multiethnic society. This ideal society will stir up the passions of young Japanese. Over several years, my desire to provide a national vision that could captivate young people from Japan, and across the world has culminated in this work. What is presented here is a concept for accepting ten million immigrants over the next fifty years, tackling the problems of our low fertility rate, and rapidly aging population by building a new nation with immigrants. Should this concept be made a reality, we can expect the cooperation of an additional ten million young people, which ought to significantly ease the burden the aging of our population will place on those under thirty. Immigrants will be thought of as comrades by the birth decline generation, who would be forced to drastically adapt to our population crisis. Immigrants will not simply be brought in to rescue us from population crisis however, they are also the driving force that will change us from a country will high levels of homogeneity to a country rich with diversity. What I most want to emphasise is that we must create a country that can give dreams to immigrants if we are to revive Japan by opening the doors to immigration. My vision has received support from elites in every field who are concerned about the fate of the nation and society. The Japan Immigration Policy Institute was formed as a base from which the work needed to achieve this vision could be carried out. We are building a new Japan. Working towards a revolution similar to the Meiji Restoration. In order to be successful, this kind of project requires those in their twenties and thirties to rise to action, like Takasugi Shinsaku and Sakamoto Ryoma did during the Bakumatsu period (1853-1868). I am waiting for a Japanese generation X to open up a path to the future. This book is an immigrant nation manifesto. It will discuss the process of forming Japanese-style immigration policy, and its future prospects, the synthesis of an immigrant nation, the specific mechanisms through which immigrants will be accepted, and a vision of the Japanese immigration nation of the future. The people I most want to read this book are the immigrants who will work hand in hand with the younger generation to establish a multiethnic society. Should this booklet succeed in acting as a guiding light to a Japanese nation of immigrants, I would be overjoyed. Executive Director Japan Immigration Policy Institute. That’s it? That’s the most important thing he can think of after decades of critical articles on Japan? Forget immigration then, lets wait until Japan is REALLY at a crossroads and the consequences of insularity are bigger. Then immigrants can be expected to be treated fairy since Japan will have no choice in the matter…. Is the original Japanese version of this paper available online? I have some non-English-speaking friends that would probably be interested in reading it. At the very least, it’s a step (leap?) in the right direction. I definitely prefer it to Gaijin Hanzai ura fairu and similar garbage. Did a little legwork and I think this might be it (retrieved from JIPI’s Oshirase page). My kanji skills are way lacking, though — anyone mind taking a glance to confirm? Hi Dan, I confirm it is. At last a glimmer of hope. Let’s all hope that the people with the power will act upon these points. IMHO, after some thought, the issue is that while he continuously brushes up against the real elephant in the room, he fails to address it. That is fear of foreigners. I’ve come to believe that the only way to deal with that is a legal and social framework that “Outsiders” fit into so they aren’t “Outsiders” anymore (and I don’t mean registering at the Ward Office). Then, the logic of immigration can be argued… until then it’s tilting at windmills. Politics is the art of the possible. It seems possible (Pick someone in the DJP to cozy with) to draft and introduce into debate something sold as a path for foreigners to disrupt society less ;^). eg, documents equivalent to and exchangeable for Koseki when such-and-such occurs triggering the possibility of Naturalization, for instance. Hoops defined and persistence leads to the light at the end of the tunnel. No oncoming train. Then you can expand the experiment. Now that everybody “belongs”, you can start (talking about it that way) from there. The English translation is of the supplemented version of the essays. The downloadable file is the older version. A hard copy of the supplemented booklet is available from JIPI. Shoot them an email. Jeff – good point. Japan’s laws are vague for a reason – the government likes them this way. That, or, there has not been organized efforts for change. 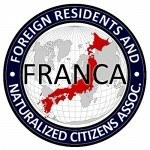 IMHO, the average Japanese citizen will not see a tangible benefit to granting a legal framework that clarifies and protects the rights of foreigners/immigrants – thus, the lack of political interest. In every case of assimilation (on a national level) that I have studied, the paths are similar – but the results differ by country. Japan’s current legal/social resistance to further immigration (fear of foreigners?) is indicative of what we can expect to see in the coming years. Like any group that views themselves as ‘homogeneous’, they do not identify with people outside their group – so they (largely) just don’t care. My question is – how do we make the average Japanese care about the plight of foreigners/immigrants in Japan? — Hmm. By telling people that strengthening, for example, labor laws for NJ means they get strengthened for all workers too? The key is to not objectify differences but to somehow incorporate them into the fabric of society whether they are minorities or not all people have basic needs once those are met they will integrate into any society regardless of language, culture, customs or race. All people in Japan need to feel they belong and are equal regardless of their background or heritage. This is the first stage of multiculturalism which needs to be cultivated and nurtured very slowly if it is to grow. Once Japan can accommodate the diverse multitudes that already exist it will be ready to introduce more robust immigration. Otherwise Japan is destined to repeat the mistakes of Canada and Australia, where multiculturalism was born out of a need to stabilize society and curb the racism and discrimination born out of massive, unchecked immigration.